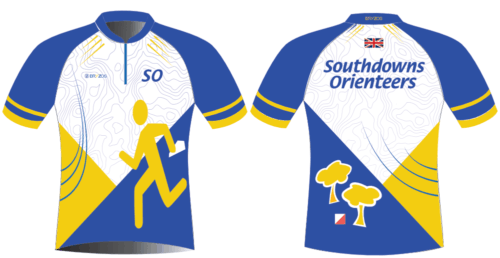 Southdowns Orienteers are pleased to announce that over the coming months we will be working with British Orienteering on an event participant satisfaction initiative to develop our understanding of the participant experience at club events. Between now and June participants at a selection of events (Worth Lodge, Rewell Quarry and St Anne's Wells Gardens) will be invited to share their views and comments via a short survey. The Participant Satisfaction Survey will help us understand participant satisfaction with different aspects of the events, including the courses, facilities, volunteers, logistics and equipment as well as the overall satisfaction with events. We are looking forward to hearing your thoughts. The comments and insight obtained from your responses will help British Orienteering and the club to identify participant-focused development opportunities and to continually improve these events. The Southdowns Orienteers (SO) Annual General Meeting (AGM) will take place at 1300hrs Saturday 1st June 2019 at Warden Park Academy, Broad Street, Cuckfield, Haywards Heath, West Sussex, RH17 5DP. A draft AGM Agenda can be viewed here. Club officers are sought for the posts of Club Chair, Club Secretary and Social Secretary. SO members who would like to volunteer for one of the vacant club officer posts or add an item to the AGM Agenda are requested to contact Steve Blount by 10th May 2019. The final AGM Agenda will be published on the SO club website. It's that time of the year when there is enough daylight to enjoy runs around the Sussex countryside on a Tuesday evening without the need for headtorches. This popular series will start with a run from Ditchling Common and will hopefully take in some beautiful bluebell woods. Details of all trail runs will appear in the events section - though sometimes just a few days beforehand. We are always looking for suggestions for new routes (see link below). A couple of items of lost property have found their way to the club captain. Spot the Gruffalo in the deep dark wood at Parham! It's the Gruffalo's 20th birthday on Saturday and he's going to be celebrating in the deep dark woods at Parham. 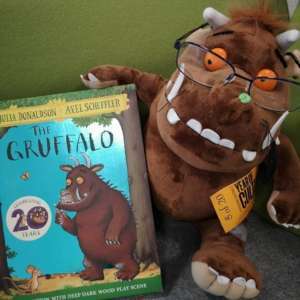 Horsham District Council's Year of Culture Gruffalo will be trying out some Orienteering this weekend. See if you can snap a photo of him lurking around the woods on the yellow course and upload your sighting to www.globalgruffalo.co.uk! Volunteers are the heart of our club. Every event is run by volunteer club members and all are encouraged to get involved. It's a great way to learn new skills and get to know your fellow Southdowners a little better. 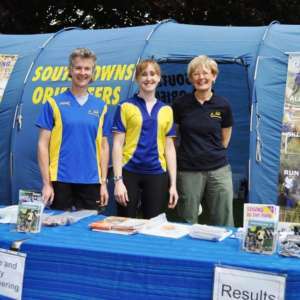 Southdowns Orienteers is a large friendly orienteering club with around 300 members ranging in age from 1 to 80+. We have a range of abilities amongst our members, from absolute beginners to British Champions. your selection will place a cookie on your computer to remember your choice.